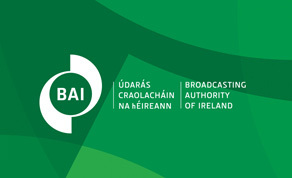 The Broadcasting Authority of Ireland (BAI) and the Canada Media Fund (CMF) have announced the opening of the second round of the three-year funding incentive for the development of audiovisual projects. Programme guidelines, application documents and deadlines for submissions can be found on the BAI website here. The deadline to apply is September 28th, 2018. Both organisations have partnered for three years 2017-2019 to fund co-development projects between producers in Canada and Ireland. The total amount of funding available through the Incentive for this second year will be €140,000. The total maximum contribution for each project funded through the Incentive will be €35,000. The incentive seeks to fund television projects and digital media extensions of such television projects, which fulfil both the guidelines of the CMF and the objectives and themes of BAI’s Sound and Vision Scheme. Projects will be evaluated and chosen by a selection committee composed of representatives from both funding organizations. Since the first funding incentive between Ireland and Canada was launched in 2016, the BAI and CMF have provided €289,000 to finance the co-development of nine projects; €143,000 of this funding was awarded to five projects in 2017 during round one of this three-year incentive.